Is the hole in your smile a cause for concern? Consider a dental bridge. A dental bridge is a type of tooth restoration used to replace missing teeth. In a similar restorative category to dental implants and dentures, dental bridges offer functional and esthetic solutions to the issues caused by tooth loss. A missing tooth or teeth is more than a cosmetic concern. It can result in bite irregularities (malocclusion), speech issues, TMJ disorder (jaw joint condition), and increased risks for gum disease and dental decay. Conventional and cantilever dental bridges are similar in that both require preparation of the teeth adjacent to the missing tooth or teeth. In order to accommodate a conventional/cantilever bridge, this preparation may include permanent reshaping of the teeth intended to best support the restoration. A dental crown attached to an artificial tooth (also called a pontic) is then placed atop the shaped tooth/teeth, with the resulting restoration filling the edentulous region. Resin-bonded bridges differ from conventional and cantilever options in that they require minimal preparation of surrounding teeth. More often than not, a resin-bonded bridge is used to replace missing front teeth. However, periodontal health may determine whether or not a resin-bonded bridge is an option or not, because the gums must be healthy enough to support the restoration. The materials used to fabricate most of today’s dental bridges include porcelain, metal, gold, zirconia and alumina. Are You a Candidate for a Dental Bridge? There are a variety of factors used to determine your candidacy for a dental bridge and the type of materials best suited to your needs. Oral health is one of the more important factors in that you must have a healthy mouth in order to support a bridge. Additional factors include the location of the missing tooth/teeth being replaced, your oral habits (such as if you grind your teeth), your dental insurance policy and more. During an initial consultation, your dentist will take X-rays and impressions of the edentulous region. Your dentist then will work with you to determine the best course of treatment, and help you determine approximate costs. Following treatment completion, the X-ray and impression process may again be performed to provide a dental bridge before and after reference. Bridges for Teeth: What’s the Procedure? Before surrounding teeth can be “prepped” for your bridge procedure, a local anesthetic must first be given. Keep in mind that if your surrounding teeth are badly decayed or otherwise lacking in support, your dentist may have to provide treatment before the bridge procedure can be performed. Once your teeth are prepped for your bridge, you dentist will take an impression using a putty-like material. Getting an accurate impression is essential in order to fabricate a well-fitting restoration. Using this model, a dental lab technician will then fabricate your bridge, ensuring its fit and esthetic appeal. The fabrication process may take some time, during which your dentist will fit you with a temporary dental bridge. This helps to protect your smile from damage in the interim. The procedure is completed at a second visit in which your dentist removes the temporary and places your final bridge restoration. 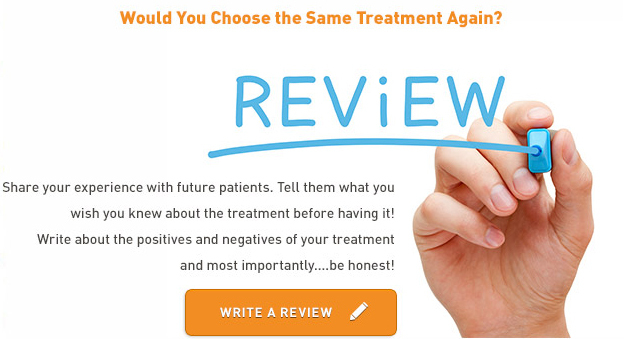 You’re a candidate for dental bridges and you’re seriously considering treatment. So what does a dental bridge cost? Dental bridge prices vary based on numerous factors, perhaps the most important of which revolves around where you go for treatment. Depending on the dentist you select for treatment and the location of the dentist’s practice, bridge prices may vary significantly. For example, a dental bridge at a luxury dental treatment spa in Beverly Hills will most likely cost more than a dental bridge in Mexico – where many people go for discounted health care. However, it is important to note that while price isn’t everything, opting for one practice versus another for the sole reason of pricing may not be the best long term solution. The costs may be cheaper at one practice because of the materials used or the level of skill of the technician fabricating the restoration. Sacrificing quality in the short term in order to save money may end up costing you more in the long term. It is for this reason that it is incredibly important to fully evaluate all available treatment options before committing to one. All things considered, the approximate cost range for dental implants is between $1,000 and $3,000 per tooth. Although this may strike some as rather expensive, quality dental bridges may last between 10 and 20 years if cared for appropriately. If you do not have dental insurance, or have a policy that provides limited or no coverage for dental bridges, you may inquire about financing through your dentist, or look into third-party financing options.